Castalia Residence | residential | Living Roofs Inc.
Blurring the line between meadow and home. On one side it is difficult to know where the meadow ends and the house begins. 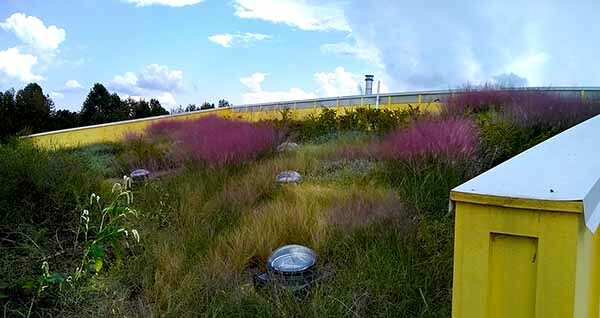 Native grasses and perennials scramble up the side of this intensive green roof.